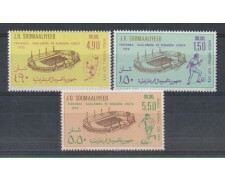 1978 - SOMALIA - MONDIALI DI CALCIO IN ARGENTINA (YVERT. 220/222) SERIE COMPLETA 3v. NUOVI GOMMA INTEGRA ORIGINALE.